How many endings to Noah are there? The new Russell Crowe movie Noah is set to release on March 28th, and with this film being banned in several countries already, you may wonder what's going on. The movie will "provoke the feelings of believers." Paramount Pictures were very worried about how Noah and its religious theme would be treated, so they screen tested three different rough cuts of the film, both without the approval and knowledge of director Darren Aronofsky. All of the versions met with resounding criticism from Christian audiences. 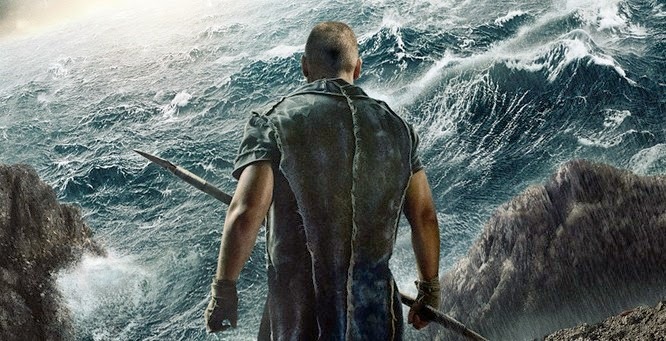 Aronofsky said that he was very unhappy with Paramount testing alternate versions of Noah that were not 'true to his vision': "I was upset - of course. No one has ever done that to me. I imagine if I made comedies and horror films, it would be helpful. In dramas, it's very, very hard to do. I've never been open to it. I don't believe that." After much discussion and compromise, the studio announced on February 12 that Darren Aronofsky's version, not any of the studio's alternate versions, will be the final cut of Noah. "They tried what they wanted to try, and eventually they came back. My version of the film hasn't been tested. It's what we wrote and what was greenlighted," Aronofsky said. It will not be test screened until post production is finished, as per Aronofsky's wishes.